The Storage Tower consists of three Euronorm boxes with discharge openings. The top box is sealed with a hinged lid to protect the content from dust and dirt. 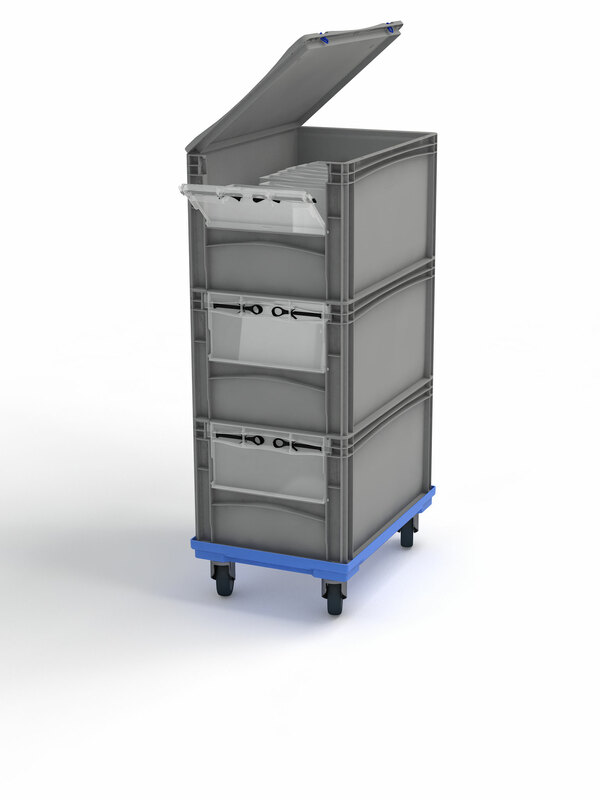 For more flexibility and a convenient transport, all box­es are stacked on top of each other on the transport trolley. The advantages of the Storage Tower are ob­vious: the discharge opening allows a removing of the stored contents from the front without any unstacking of the boxes. The Storage Tower - a mobile storing and organizing system for any craftsman or workshop owner. As supplements, we offer our inserts in different sizes which allow a division within the boxes.